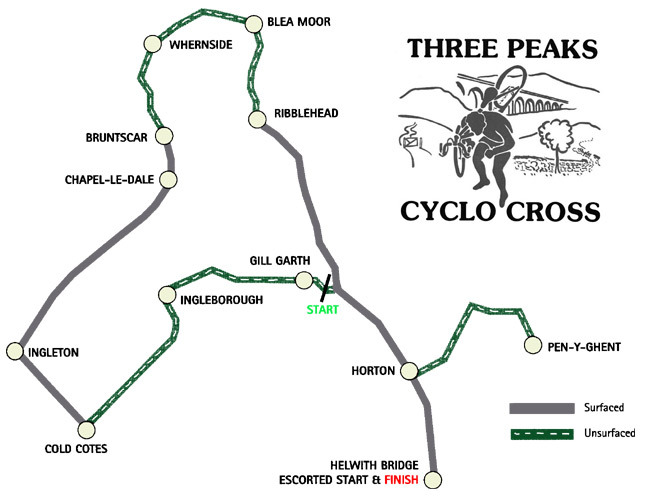 The first 5.5kms from Helwith Bridge will be escorted – competitors will ride behind the lead car in a rolling road closure. 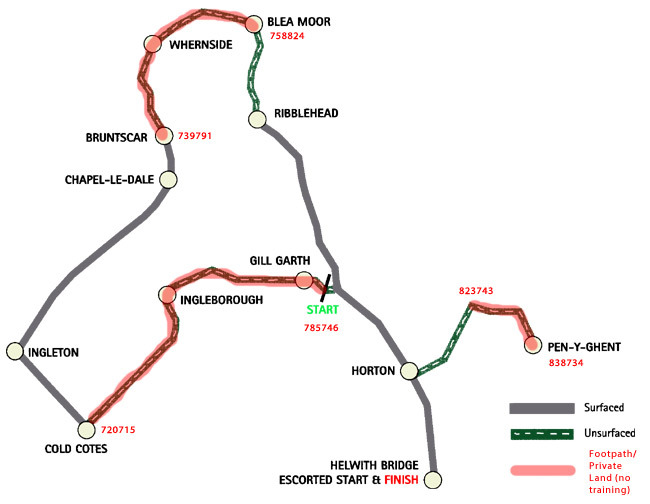 SPORTident timing points are at Ingleborough, Cold Cotes, Whernside, Ribblehead, Pen-Y-Ghent and the finish at Helwith Bridge. PLEASE NOTE!! The off-road sections marked in red are footpaths and/or private land. Permission for cycling over these sections has only been obtained for the day of the race. This means that no training on a cycle is allowed on these sections – it is illegal to ride there except on the day of the race. The red numbers are O.S. grid references for the start and end of each excluded section. Click the title to close.